Nick Likane is a hobby junky and Salesforce Developer. This page offers a little of both. So I spent April in Morocco participating in Marathon Des Sables. Considered one of the hardest races in the world. A write up of the run itself can be found here. We were also fortunate enough to be featured in a web series segment by MDS. A play list to our segments can be found here. Around the 50km mark , when the usual questions started circling my head "What sort of person spends Easter running in a desert?" the answer was obvious "the exact sort of person who works as a SF dev for almost a decade." As I pondered this and what it meant over the next 50, this article wrote itself. 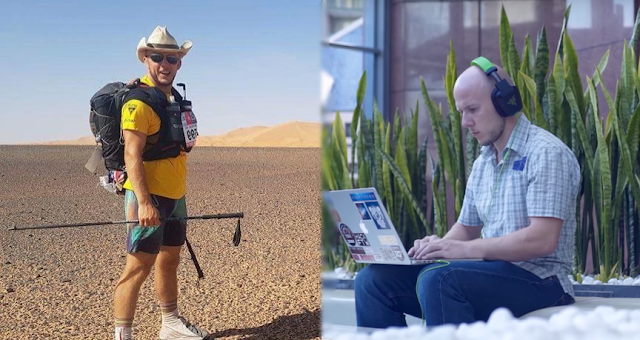 Without further ado, here's why being a SF Dev and an ultra-runner is exactly the same. This article is based on a presentation I did at a local Salesforce Dev User Group meetup. So this client paid me money to work for them for 6 months, which means, listen to requirements and do your best to implement. In this case, 30 objects assigned to accounts need to be shared to external users via a complicated security hierarchy based on the accounts in the hierarchy. The specific level of access should be able to be modified going forward and at least 6 levels of hierarchy schould be catered for... no problem right?